Our residential power washing services can make your house sparkle and make home maintenance easy. Our residential services include: Low Pressure House Washing, Roof Cleaning, Driveway, Patio and Sidewalk Cleaning, Decks, Fences, Gutter Cleaning, Window Cleaning, and more. B&A offers a broad range of commercial cleaning services. From business storefronts to property management cleaning services, we provide solutions that show your commitment to quality. We offer free, no obligation inspections and estimates for all of your commercial cleaning needs. the area’s finest pressure washing, we also offer roof and gutter cleaning. At B&A, all of our services are designed to maximize your home’s appearance and value. We always strive to meet and exceed our client’s expectations. If you ever have any concerns with our workmanship we offer free touch up consultations. Wow! I got a flyer in the "coupon clipper" from this company, which I'd never heard of, and it reminded me of some exterior work that needed done on my house. I e-mailed in a request for contacting, and they called me back that evening! The rep was very understanding that it was a small job, but that they would still be happy to take care of it. They came out the next day - I didn't have to be there - and took care of it! (Brick on my chimney had gone black, and a small deck that never gets sunshine was green with mildew.) Solomon called me when he arrived, stuck to the very affordable price they had quoted the night before, and left the bill on my door. Done! And when I arrived home, I was delighted with the results - the chimney and deck look fabulous. I took a chance on a company I'd never used - and they happily surprised me. I will recommend them to all my neighbors and friends! 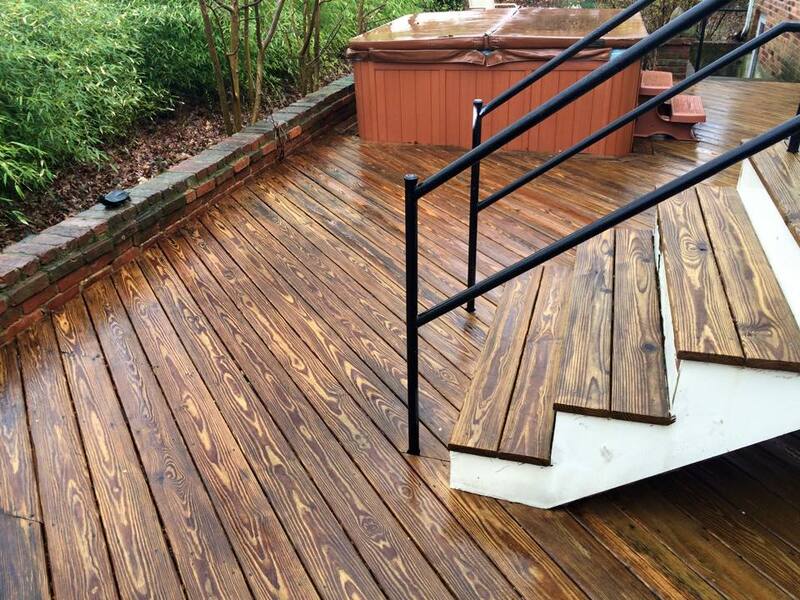 B&A Power Washing Inc. B&A Power Washing Inc. shared a post.